You can choose to manage your Baidu PPC campaigns through the web interface or Baidu PPC Editor, the desktop client of Baidu Advertising. It’s pretty straightforward to manage your campaigns via the web interface. You just need to log in using your Baidu account credentials then start to make changes to your campaigns. But if you need to make bulk changes, manage multiple accounts or export the account data, it is not so convenient to use the web interface. Baidu PPC Editor is the official desktop client for Baidu advertising. It is a free, downloadable application for managing your Baidu PPC advertising campaigns. 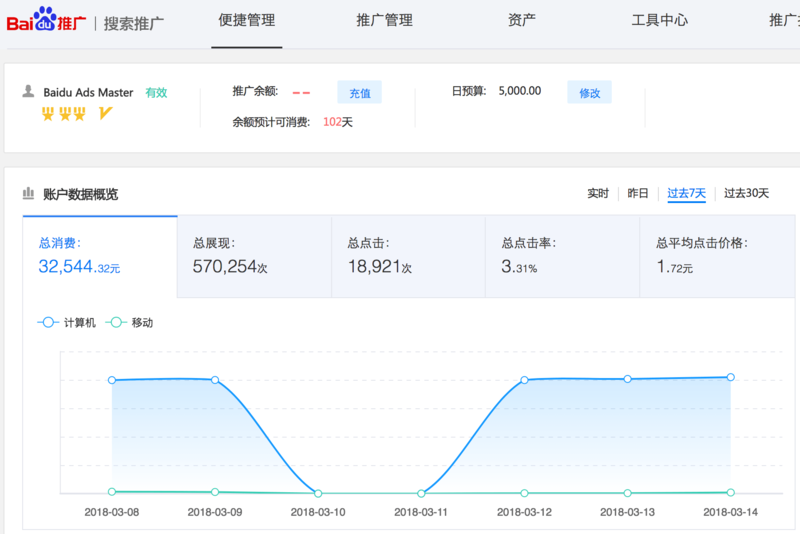 Any Baidu advertiser with an account of any size can use Baidu PPC Editor, but it’s especially useful for accounts with multiple campaigns and long lists of keywords or ads. The most prominent advantage of using Baidu PPC Editor is it has a built-in English version. This has made the software quite handy for English speaking advertisers. In Baidu PPC Editor, you can copy and paste ad groups, keywords and ads like working in a spreadsheet. You can add multiple Baidu advertising accounts in Baidu PPC Editor. No need to log out and back in anymore when you need to switch to another account. In Baidu PPC Editor, you can review the changes in draft before publishing them. This is very useful when you plan to make multiple changes at the same time or upload changes that may severely affect your campaign performance. Without internet? In Baidu PPC Editor, you can even work offline, and upload the changes to the account later when you have internet connections. In the next post, we will guide you through the process of downloading and installing Baidu PPC Editor. Nice work! I was just searching for the desktop client for Baidu and I found this post! Thanks for the series, nice work.